Salam and greetings to all members (and future members)… hope you have been waiting for this issue of Berita Anestesiologi, or at least wondered what happened to us! We waited until the incoming 2010/ 2011 MSA Executive Committee had their first meeting before reporting, but then came the 13th Asian Australasian Congress of Anaesthesiologists (AACA) in Fukuoka, Japan; hence the distraction and delay. There has been a flurry of anaesthetic CPD activities lately, the major ones being the Annual Scientific Meeting (ASM) of the Malaysian Association for the Study of Pain, the 1st Malaysian Day Care Congress, the ASM of the MSA and the College of Anaesthesiologists, and the AACA in Fukuoka. I hope you have taken the opportunity to be a part of some of these (as that's the easy part) and appreciate all the meticulous and hard work that goes behind it! Firstly, I would like to put in a word of appreciation to those who have served the Society tirelessly and voluntarily over the years. We thank you, Dato' Dr Jenagaratnam, for completing your four years of Chairmanship and we welcome Prof Dr Chan Yoo Kuen into the team. Only minor changes were made to the MSA portfolios as most Exco members were re-elected at the recent AGM. All the state representatives and the editors of Berita Anestesiologi remain in place. As such, there will be continuity and at the same time, no excuse for not performing. 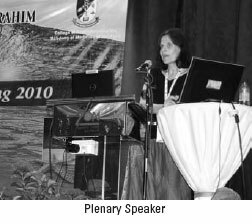 I must record our appreciation to Dato' Dr Subrahmanyam Balan, Dr Raha Mohd Daud and their team for organising a very successful ASM/AGM 'Taking Anaesthesiology to Greater Heights' at the Zon Regency Hotel, Johor Bahru from 23rd to 25th April 2010 with a record attendance of more than 760 delegates. The scientific committee headed by Prof Marzida Mansor and Prof Lim Thiam Aun must also be commended as it had an incredible range of scientific topics and speakers. We also gave away the MSA and Young Investigator Awards for oral presentations and three best poster presentations. The MSA was indeed proud to confer the Honorary Membership on Datuk Dr Radha Krishna Sabapathy at the opening ceremony by the YAM Tunku Temenggong Johor. We hope that recognition such as this will enlighten all our young anaesthesiologists and remind the older ones of our rich anaesthetic history, while appreciating what the earlier generation went through, for us to arrive at our present position. We elaborate these events in several write-ups in this issue of Berita Anestesiologi. The photo gallery in our MSA website also has many such pictures. Several important issues were discussed and attended to at the last AGM. For those who were not there, the Intensive Care Section of the MSA has been dissolved and the MSA now runs as a single consolidated body that will continue to look after the interests and provide critical care as well as intensive care activities for its members. Prof Marzida Mansor and Prof Chan Yoo Kuen as a committee, will take charge of critical care activities. We aim to complement rather than duplicate or compete with other similar bodies while, at the same time, avoid any introduction of 'two levels' of intensive care practice. One other issue that demanded a lengthy hot discussion was the request for Society's nomination of delegates to conferences. This is mainly for the Ministry of Health doctors as they are unable to obtain a nomination letter in the absence of Postgraduate Society in their respective hospitals. The MSA will need to study the code of professional conduct in relation to the pharmaceutical/ medical equipment industry before drawing Procedural Guidelines and Criteria for nomination of delegates to conferences. Nevertheless, it has to be made known that we will only attend to anaesthetic doctors who are current members. 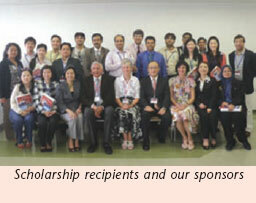 Despite the worry of expenses, we are encouraged to know that a total of 45 Malaysian delegates attended this meeting from 1st to 5th June 2010 in Fukuoka, Japan, with many having scientific presentations. Four out of 20 excellent poster presentations were from Malaysia! MSA received and approved 11 applications for subsidy to this Congress through the Scientific and Education Trust Fund. There is a write-up on the AACA as well in this edition of Berita Anestesiologi. 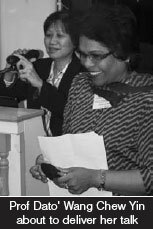 The President-Elect, Datin Dr Sivasakthi, and I represented MSA at the Asian Australasian Regional Section (AARS) Assembly of the WFSA. 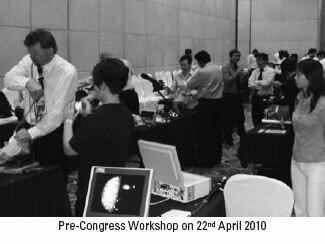 We also attended a Confederation of ASEAN Societies of Anaesthesiologists (CASA) meeting, especially in preparation for the Asean Congress of Anaesthesiologists in Manila 23rd to 26th February 2011. The deadline for early registration is 31st July 2010, so get onto our MSA website to find more details. It is also worth mentioning that the dormant ASEAN Journal of Anaesthesiologists (due to sponsorship issues) will soon be rejuvenated ON-LINE at www.aja-online.com as early as September 2010. At the AGM, there were minor changes to the Board of Directors for the Scientific and Education Trust Fund due to upward and outward movement of positions. Currently they consist of Prof Lim Thiam Aun (Chairman), Dr Chan Chee Wah, Dr Tan Cheng Cheng and Assoc Prof Datin Norsidah Abdul Manap (as President). To date, we have a continuous flow of CPD activities and I hope the requests will continue to pour in. As you know, the MSA provides subsidy on a regional basis, with RM4,000 per year allocated for each region of the Peninsular as well as Sabah and Sarawak. Please liaise with your state representative or even with us directly, if you have a need for funds. For those looking out for meetings/conferences to go to, do note that it is sent via the e-mailing list of the Society, so do update us your email address. The bigger conferences are on the website for your perusal. This year we will give serious consideration for critical care activities as well as emphasize on topics pertaining to the Professional Wellbeing of Anaesthesiologists. The WFSA has surveyed and noted that the latter issues are not well addressed or publicized. 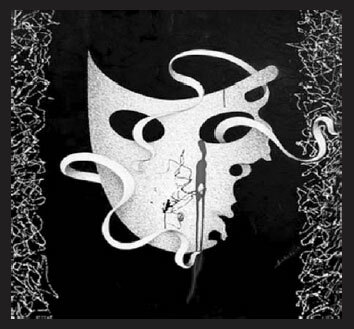 The theme for this year's National Anaesthesia Day is "Unveiling the Mask". Let's celebrate this 16th October 2010 together, each in our own way and each with our own creativity. The JB team pushed themselves to greater heights last year at Mt Kinabalu, so I hope someone else can think of ways to top that! I leave it to you to unveil yourselves, but MSA can subsidize up to RM1,000 per hospital and we look forward to having your reports in the Berita Anestesiologi. The MSA Yearbook 2009 edited by Prof Marzida Mansor is expected to go into publication in two to three months. The Year Book 2010 will be edited by Prof Lim Thiam Aun. The K Inbasegaran Research Fund (value up to RM10,000) supports one or more research projects in the study of anaesthesia, intensive care, pain medicine and related sciences and branches of medicine every year. Members who are searching for funds can browse our website for the rules and regulations and download the application form (which is a new feature). There is now serious concern about the anaesthesia billing in the current fee schedule, particularly about the abuse and multiple coding for multiple procedures tagged to surgeon's fees and also intensive care charges by anaesthesiologists. The MSA Fee Schedule Committee has been asked to look into other comprehensive schedules like the American and Australian systems to include modifiers like difficulty index (e.g. extremes of age, ASA physical status, morbid obesity etc), duration of procedure and emergency/after hours etc. This is actually what we anaesthesiologists are looking for; charges that are not simply tagged onto the surgeons procedures but taking into account our own considerations of importance. There is urgency in this matter as we are given only four months to complete the revision of the whole MMA Fee Schedule, with a brainstorming session due on 2nd July 2010. If you have ideas to contribute, or experience with other systems like the American's Relative Value Units, please do not hesitate to get in touch with our committee via acadmed@po.jaring.my. Let's not miss this boat that will get our fraternity to where we want to go! Having an active and up-to-date website (plus the emailing list) is so convenient for our MSA management and members. At its peak, the website had more than 1000 hits per week and that made us (especially the webmaster...) swell with pride! Of course it comes with never-ending consistent team work and the limiting factor is nothing else but lack of raw materials to put up on the site. So, that's where you can play a part. Give us a hand by contributing something for the website. In the meantime, we will continue to put up notices of meetings/ conferences, pictures/ video lectures of various events, information from abroad (like WFSA activities), the newsletters and anything that will be of interest to our fraternity. 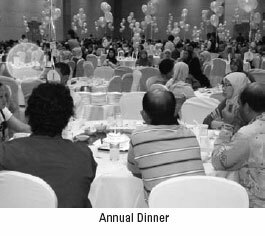 Our 2011 ASM/AGM will return to the Klang Valley in April next year. The Chairman of the Organising Committee is Dr S Sushila, the Chairman of the Scientific Committee is Dr Shahridan Mohd Fathil and his Co-chair is Dr Mohd Rohisham Zainal Abidin. We will announce the theme, dates and venue as soon as we get the confirmation, so do keep a watch out for that! I look forward to your participation and contribution in all our MSA activities! Another year has gone by, and we have completed our Annual General Meeting and have elected new members to the College Council. The College Council election follows the structure of our parent body, the Academy of Medicine of Malaysia. The Council has eight members, who are each elected for a two-year term. However, every year four councillors retire and another four are elected. The retiring councillors are eligible for re-election. From the eight council members, the house then elects the President. The other office bearers are elected at the first Council meeting. This year we had two new councillors and two councillors who were re-elected after completing their two year term. 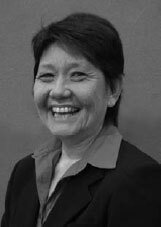 In addition, we have coopted another member to council - Prof Lim Thiam Aun, who is no stranger to the College Council, having served not just as council member but also as President in the past. 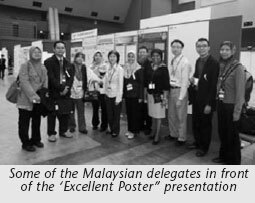 The Annual Scientific Meeting 2010 was a great success this year, thanks to the Organising Committee under the able leadership of Dato’ Dr Subrahmanyam Balan, and the scientific chairpersons, Prof Marzida Mansor and Prof Lim Thiam Aun. For the past several years, the ASM has been organised as a joint effort between the College and the MSA, in conjunction with our AGMs. I think it is important for our two organisations to work together in this manner and I hope that this will continue for many years to come. In my speech at the ASM Opening, I once again took the opportunity to try to clear the confusion between the College and the MSA. The MSA - the ‘’big sister’’ - is 47 years old, whilst the College - the "little sister" - is only 15 years old. In the 1960s, there was a Faculty of Anaesthesiologists in the College of Surgeons of Malaysia, but we became first, a Chapter and then, a College in the Academy of Medicine of Malaysia after the College of Surgeons merged with the Academy in 1995. In the past few years, there have been some discussions about whether the College and the MSA should merge, but after much debate and deliberation of the pros and the cons, we decided to remain as two separate bodies. Separate but sisters. So, what is the role of the College? Although there is a lot of overlap between the College and the MSA, we do have different roles, which complement one another. The NSR was launched in 2006 by the Minister of Health; its purpose is to ensure that doctors designated as specialists are appropriately trained and fully competent to practise in the specialty. The NSR is in fact, an exercise in self-regulation by the medical profession, striving to maintain high standards of specialist practice in our country, having the interest and safety of the public at heart. The College of Anaesthesiologists was responsible for drawing up the necessary criteria for registration in our specialty which has recently been renamed as "Anaesthesiology and Critical Care". Our College also spearheaded the recognition of Intensive Care as a subspecialty and has drawn up the criteria for registration as intensivists. All applications for registration with the NSR are vetted by Specialty Subcommittees, who then make their recommendations to the main NSR committee. Each Specialty Subcommittee has four members nominated by the College and three nominees of the Ministry of Health, and the College ensures that the different sectors - university as well as private - are represented in these Subcommittees. Overall, therefore, the College of Anaesthesiologists thus plays a very important role in ensuring that this process of registration with the NSR is carried out smoothly and fairly. Although registration with the NSR is still voluntary, I urge all anaesthesiologists to register with the NSR - the Medical Act will soon be amended to make this compulsory, so you might as well get in now. To date, there are 300 anaesthesiologists and 24 intensivists registered with the NSR; this certainly does not reflect the actual number of anaesthesiologists and intensivists in the country! A side note - for those who have registered with the NSR as anaesthesiologists, you have been issued certificates with the "old" name of the specialty (Anaesthesiology). Now that we have a new name, the certificates will be reissued - but at a charge - you should be receiving a letter from the NSR secretariat sometime soon about this. The College Council has agreed to subsidise the cost of the new certificate for College members only - you may make your claim (with your receipt) directly from the Academy of Medicine secretariat. Another important role of the College is the drawing up of Clinical Practice Guidelines relevant to our specialty. Guidelines that have been produced in the past include minimal monitoring standards for anaesthesia, preoperative fasting, preanaesthetic assessment and infection control in ICU. Currently, we are working on expanding the monitoring guidelines into a document on “Safety Standards in Anaesthesia” which will incorporate infection control in the operating theater. We are also planning to convene a task force comprising representatives from the College of Radiology, College of Surgeons, College of Physicians and College of Dental Specialists to draw up guidelines on sedation by non-anaesthesiologists. All Practice Guidelines are available on the Academy of Medicine website www. acadmed.org.my - you can download the pdf file. The College has eight SIGs - cardiac anaesthesia, paediatric anaesthesia, airway, simulation, day care, pain, regional anaesthesia and obstetrics; each has a convenor, who is appointed by the College Council for a two-year term. The role of the SIGs is to organise workshops and other activities to promote education and discussion in their area of interest. We hope to have more activities for members via the SIGs in the coming year and we hope that members will let us know which SIGs they are interested in, and participate actively. In response to discussion at the recent College AGM, the Council has decided to form another SIG - the "Wellbeing of Anaesthesiologists", which is chaired by Prof Chan Yoo Kuen. We hope that this SIG will help us to look after ourselves - a very important thing that we often neglect, because we are too busy looking after our patients! The issue of whether a separate anaesthetic consent is necessary was discussed at the recent College AGM. Members were informed that the Ministry of Health hospitals are all doing this now, using a very comprehensive form. Some of the university hospitals have also been practising this, as are some private hospitals. Members should take note that the Malaysian Medical Council (MMC) is currently revising the Code of Professional Conduct and has included the following statement in the revised Code: "Medical practitioners are required by law to obtain consent from patients for giving anaesthesia (general and regional) and for transfusing blood and blood products. In all instances of consent taking, the practitioner who is performing the procedure must personally take the consent from the patient or next of kin. It is preferable for a witness to sign the consent form along with the patient and the practitioner". It occurs to me that there may be some issue regarding the statement that "…the practitioner who is performing the procedure must personally take the consent…" - this is not consistent with the trend to move towards doing preanaesthetic assessments in anaesthetic clinics, where someone else (other than the person who will administer the anaesthetic) may see the patient and take the consent. We will follow this up with the MMC and inform members of any progress. This will be my constant call - please join the College of Anaesthesiologists so that we will be more of a "force to reckon with" especially within the Academy of Medicine. To become a member of the College of Anaesthesiologists, you need to join the Academy of Medicine (AMM) - forms are available on the AMM website. The College membership is much smaller than the MSA, as it was previously quite difficult to join the AMM - recently though, the rules have changed and all specialists are eligible to be ordinary members, and trainees in the Master course can also join as candidate members. So, do join us and beef up our numbers! One "extra" advantage for members of the College is that you only have to pay RM1,000 (instead of RM1,500) when you register with the NSR. The other advantages? Well, to paraphrase a well known saying - "Ask not what your College can do for you, but what you can do for your College". You do get to attend a grand ceremony of “induction” into the AMM where you can take a nice picture to frame and hang on your wall! ... and you will also be getting the AMM news, not just the Berita Anestesiologi; you are also eligible to be elected into the College Council where you have the opportunity to interact more closely with members of other specialties. For your information, the President of each College in the AMM is automatically a member of the AMM Council, but there are also elected members of Council. This will be held on 8th August 2010 at the Medical Academies of Malaysia building in Jalan Tun Razak (opposite HKL) together with the induction of new members and conferment of fellows of each College. All members of the College are welcome to attend this event, for which there is no registration fee! The AMM organises the Malaysia-Singapore Congress of Medicine once in two years and travels to Singapore in the alternate year to attend the Singapore-Malaysia Congress of Medicine. This year, however - for the first time - we are having a tripartite congress, together with the Hong Kong Academy of Medicine (HKAM)- this is a great opportunity to go to Hong Kong and interact with our colleagues over there. The Tripartite meeting will be held on 12th to 13th November 2010, and I hope that some of you will attend this historic congress. Please contact the Academy of Medicine for details. 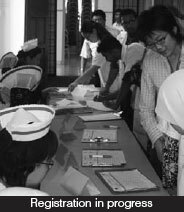 In Malaysia, while the changing concepts, attitudes and functions of the Anaesthesiologist developed, the undergraduate “short-posting” minor discipline floundered along while more and more medical schools mushroomed. As of 2009 there are eight public or government sponsored universities with medical schools and 12 private medical schools with university status. There are three Teaching hospitals (University Hospital, Kuala Lumpur or University Malaya Medical Centre; National University Hospital; University Science Malaysia, Hospital). All the other medical schools (government - sponsored or private) send their students mainly to the Ministry of Health (MOH) hospitals for their clinical postings; in some instances trying to teach the students with the MOH doctors around can pose some problems involving differences in opinions regarding the clinical management in the presence of students. This problem has lessened by seconding the MOH doctors as clinical teachers and/ or recognizing the particular MOH hospitals as Training Centres. Some private medical schools employ clinical staff with unrecognized foreign postgraduate degrees; this can pose logistic problems because such staff cannot perform clinical/ teaching in the MOH hospitals. The arrangement of seconding MOH Clinical Specialists (with recognized postgraduate degrees) as clinical teachers for the clinical Masters programmes can work because clinical training has existed on an ad-hoc basis before the Clinical Masters’ programmes started. What has been forgotten is that Undergraduate Teaching (to produce medical doctors for medical practice in the country) programmes should be the responsibility and duty of the staff of the University Medical School awarding the basic medical degree (M.B.B.S or M.D). The Clinical experience in the MOH hospitals contributes to postgraduate degrees. In the 1990’s with the emphasis for Caring of the Critically Ill and the unconscious, focusing on patient-safety and the patency of the Airway, the Anaesthesiologist’s training and expertise became more relevant for undergraduate medical education. The boring, traditional, minor short-posting for Anaesthesiology in the undergraduate teaching curriculum has thus been undergoing a Revolution in concepts - the teaching of "how to give gas" should not be for the undergraduate; it is a Postgraduate Specialization field. Undergraduate medical education should make the Anaesthesiology posting more meaningful, more relevant and more interesting by focusing on caring for the unconscious and the critically ill, the suffering. For undergraduates, the month-long short-posting should thus be fittingly named as a clinical posting in Anaesthesiology and Critical Care. The academic departments in the Medical Schools with their own teaching hospitals can concentrate and develop postgraduate education and academia in Anaesthesiology such as the Clinical Masters degree programmes, research and publication. The Medical Schools in Malaysia without their own teaching hospitals will necessarily have to conduct their clinical teaching for their undergraduate student clinical postings in the MOH hospitals. The Anaesthesiology short-posting can then be awkward and the undergraduate teaching programme for Anaesthesiology and Critical Care might have to integrate with the major clinical postings where caring for the unconscious, the critically ill, the suffering (Critical Care) is relevant in that major clinical discipline (e.g. Medicine, General Surgery, Obstetrics and Gynaecology, Orthopaedic Surgery). One problem that can emerge from this integrated teaching is that students will graduate without identifying the image of the Anaesthesiologist as a Clinical Specialist and Anaesthesiology as an independent clinical discipline. Integration teaching is good to bring out the concept of multi-disciplinary contribution to Team Management in Critical Care. Integration, however, should not lead to disintegration which can apply in the case of the emerging discipline of Anaesthesiology, thus taking a 50-year backward step for the future. The clinical posting for undergraduates in Anaesthesiology and Critical Care should remain and keep open the awareness for further development in this emerging field of Critical Care. Acute care medicine is sprouting through today as an off-shoot of Critical Care. As advances in Critical Care continue, there is one dubious achievement one must guard against. Doctors are becoming cleverer and frontier-breaking procedures (organ/ tissue transplantation, stem-cell research for therapeutics) are pressurizing members of the medical profession to specialize and even "super-specialize" in the rat-race to climb the ladder of success and achievement. In developing countries where the basic needs are still found wanting, one should pause before getting swept away by medical advances. For instance, Primary Care and Family Medicine are still not reaching the poor, and the standards of patient-care seem to be influenced by non-medical factors (e.g. financial). Anaesthesiology and Critical Care illustrates another example where Anaesthesiologists are scrambling to subspecialize within this "minor discipline" ("Intensivists" and "Pain Specialists" are branching out) while there continues to exist a shortage of qualified Anaesthesiologists to perform peri-operative anaesthetic care in the less developed parts of the country. Medical Ethics in patient-care must be maintained by the Medical Profession. It is a human right of every member of our society which entitles him/her to a Good Standard of Health Care and especially so in Critical Care where lifethreatening dangers loom. Where specialization and sub specialization bring out the special expertise focusing on the organ, the tissue, and even the cell, medical education should inculcate in undergraduates and young doctors that the organ, the tissue, and the cell we treat belongs to a Human Being. Critical Care includes caring of a fellow human being and his/ her emotionally-charged relatives. As advances in Critical Care continue, medico-legal problems are also emerging. Medical Ethics of Critical Care is becoming an essential component in the teaching of critical care to ensure ethical standards of patient-care. Clinical teaching in Malaysia requires more publications and books written by our senior clinicians which would be based on our experiences with our patients in our country. Undergraduate and young doctors can refer to such publications as guidelines to maintain and hopefully raise the standards of dynamic patient-care or Critical Care. Historically we have looked West - and more recently the cry was to look East. What we should do now is look Regional and RIGHT HERE. The Changing Image of the Anaesthesiologist Alex Delilkan, George Tay Lecture/ Oration, 11th ASEAN Congress of Anaesthesiologists, July 1999. pp 11 - 15. Practical Aspects of Acute Care. 2nd Edition. Editors: Chan Yoo Kuen, Ng Kwee Peng. University of Malaya Press. pp 1 - 173, 2009. Medical Dilemmas In The Evolution of Critical Care. Alex Delilkan (2009). Unipress Publishing. pp 1 - 124. The 6th Regional Transfusion Alternatives Workshop was co organized by the Department of Anaesthesiology and Intensive Care, Hospital Melaka and the Malaysian Society of Anaesthesiology. It was held as a Continuous Professional Development Activity (CPDA) on the 5th February 2010 at the Auditorium Seri Baiduri, Hospital Melaka. The event was well attended by around 200 participants comprising doctors and paramedics from Melaka, Seremban, Muar and Segamat, both from the Government and Private sectors. 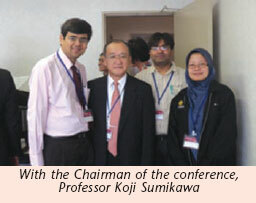 The event was chaired by Datin Dr V Sivasakthi and sponsored by Fresenius Kabi. Distinguished speakers, Prof Dato’ Wang Chew Yin, Prof Gracie Ong and Dr Melor Mansor spoke on topics of interest such as transfusion triggers in surgical and critically ill patients and influence of colloids and crystalloids on coagulation. Dr Melor Mansor kept the audience engrossed with his presentation on a case study which focused on fluid management in the dengue patient. The audience in return responded to the speakers with an active discussion during the Q and A session leading to many doubts resolved and learning points emphasized. The evening ended with a note of thanks to the speakers who then with the participants enjoyed a scrumptious high tea. 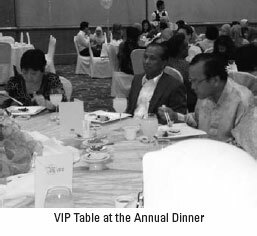 The Annual Scientific Meeting of the Malaysian Society of Anaesthesiologists and the College of Anaesthesiologists 2010 was held for the first time in Johor Bahru on 23rd to 25th of April 2010 at The Zon Regency Hotel, Johor Bahru. The theme this year was "Taking Anaesthesiology to Greater Heights". It was preceded by four precongress workshops. They were on Airway Management, TIVA, and Ultrasound in Critical Care which were held at the conference venue while the Ultrasound Guided Regional Anaesthesia Workshop was held at the General Operation Theatre, Hospital Sultanah Aminah, Johor Bahru. Each workshop was attended by 30 to 40 participants respectively. In general, the response was overwhelming; 760 participants registered for the meeting. They were from the government, private and university hospitals from the whole of Malaysia and some from abroad. 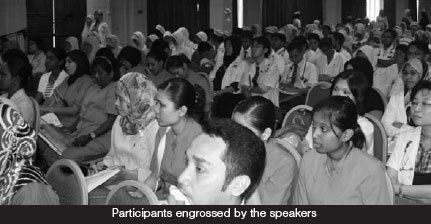 The Zon Hotel, Grand Bluewave and Naza Talya Hotels were the official hotels for the event. The opening ceremony was held on Friday, 23rd April at 9.00 am. Dato' Dr Subrahmanayam Balan, the Chairman of the Organizing Committee, gave his welcome speech, followed by Assoc Prof Datin Dr Norsidah Manap as the President of the Malaysian Society of Anaesthesiologists, followed by Dr Mary Cardosa as the President of the College of Anaesthesiologists. Tunku Idris ibni Sultan Ibrahim, Tunku Temenggong Johor on behalf of Tunku Ismail ibni Sultan Ibrahim, Tunku Mahkota Johor, officiated the opening ceremony. 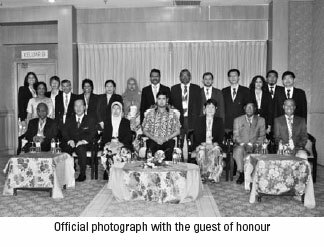 This was followed by the conferment of Honorary Membership of the Malaysian Society of Anaesthesiologists to a very senior and respected anaesthesiologist, Datuk Dr S Radha Krishna. 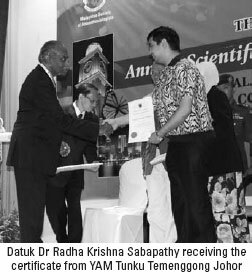 The citation was read by Dato’ Dr Jenagaratnam. After the opening ceremony, Tunku Idris visited the Trade exhibition at the Expo Hall. The two and a half day event was filled with three plenaries, eight symposia, the Annual General Meeting of the Malaysian Society and the College. Social events included aerobics and the Gala Night dinner. Both speakers and committee members were also taken for dinner aboard the Danga Cruise which they thoroughly enjoyed. The topics for the lectures were related to anaesthesiology and critical care. Topics on ultrasound in regional anaesthesia and critical care were highlighted. 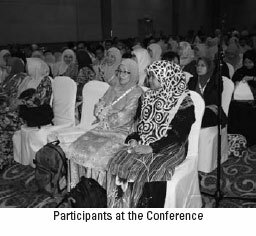 A total of 24 speakers from Malaysia and abroad with expertise in different specialties were invited to update the participants on the latest information in their respective fields. 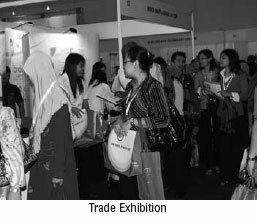 The trade exhibition, which was held in the Expo hall comprised 69 booths. The participants were both from the medical and pharmaceutical companies and were mainly involved in providing equipment and drugs used in anaesthesia and critical care. To make the atmosphere livelier, there were live entertainers performing traditional music during tea breaks. As a whole the meet was indeed a tremendous success and it met the theme of Taking Anaesthesiology to Greater Heights. 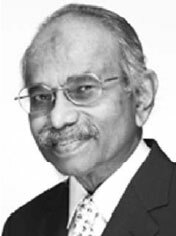 Datuk Dr Radha Krishna Sabapathy qualified as a medical doctor from the University of Singapore in 1962. In 1967 as a Government doctor he went to the United Kingdom for his training in Anaesthesia where he obtained the Irish and English Fellowships. He returned in 1968 and commenced work as a Clinical Specialist in Penang. In 1970 he was selected by Tan Sri Dr Abdul Majid Ismail, the then Director-General of Medical Services, as part of a team of Consultants, to Kota Bahru to upgrade the medical services in Kelantan. 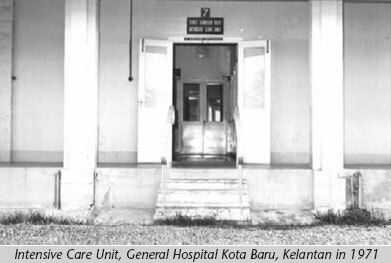 Early in 1971 together with Datuk Dr K Sarvananthan, the Consultant Physician, they established the multipurpose Intensive Care Unit in Kota Bahru General Hospital. 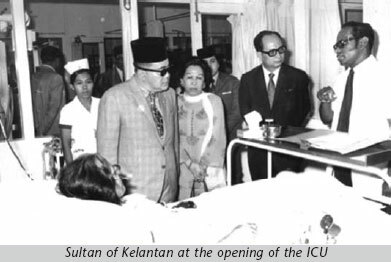 The unit was officially opened by His Royal Highness the Sultan of Kelantan in March 1972. It gained recognition as a well equipped and run unit. Mention was made of it in the journal Anaesthesia and Dr Graham Fisk, a well known Paediatric Anaesthetist, talked of it at a Faculty meeting in Australia. 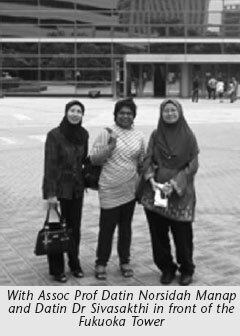 In 1976 Datuk Dr Radha went for a one year WHO Fellowship to train in Paediatric Anaesthesia and Intensive Care at the Royal Children’s Hospital in Melbourne, Australia. In 1980 he was transferred to Kuala Lumpur General Hospital where he was appointed as the Head of Unit Two of the Anaesthetic Department. He worked closely with Dato' Dr Law Gim Teik, the Senior Consultant, and Dr A Sappany, the Head of the UKM Anaesthetic Department, to restructure the ICU in GHKL to make it a dedicated and efficient unit. In July 1981, as part of the Cardiothoracic team, he went for training at the Royal Prince Alfred Hospital, Sydney. In 1982 the unit was set up in GHKL and it was fully operational in 1983. In 1983 he took up the post of senior Federal Consultant Anaesthetist and Director of Anaesthesia and Intensive Care. He remained in this post till he retired in late 1992. 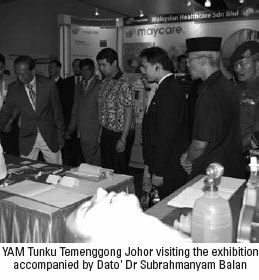 In 1988 he was part of the team that performed the CABG on Tun Dr Mahathir Mohammad, the then Prime Minister. 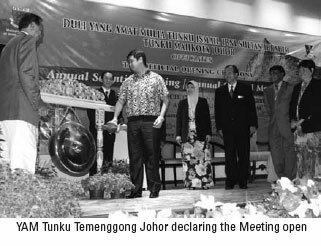 The success of the operation led to the eventual establishment of Institute Jantung Negara. 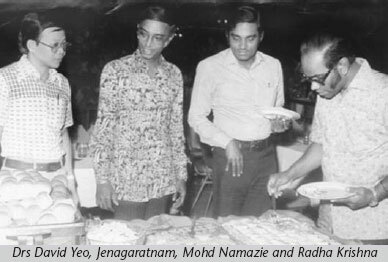 Datuk Dr Radha was involved in the planning and establishment of the Anaesthetic and Cardio Pulmonary Perfusion Unit of the IJN where he also worked till September1992 when it was corporatised. One of the most significant challenges he faced during his tenure as the Head of Department was the intention of the Ministry of Health to establish a nurse anaesthetic programme in Kuala Lumpur. For this purpose he and Datin Dr K Badsha were sent to the US and Europe to study their respective nurse anaesthetic programmes. His visit convinced him that it would not be in the best interest of the specialty to implement this. He managed to persuade the Ministry not to go ahead with it. At about the same time, the Australian Anaesthetic Faculty had given notice of its intention to withdraw conducting their Fellowship examinations in Malaysia by the end of 1985. After much discussion they agreed to assist in the setting up of the local Universities MD programmes based on the Australian Fellowship curriculum. As the Chairman of the Critical Care Section of the Malaysian Anaesthetic Society, Datuk Dr Radha worked jointly with Dr Joseph Eravelly, President of the Malaysian National Heart Association, to initiate a national CPR programme for which trainers were provided by the American Heart Association and the American College of Cardiology to train local nurses and doctors for a period of two weeks. Following this, a team of doctors and nurses from the Anaesthetic and Cardiology Department, among them Dr K Mohandas and Dr Kathiresan, were sent to various parts of the country including Sabah and Sarawak to set up the CPR programme. This programme was sponsored by the Ministry of Health. 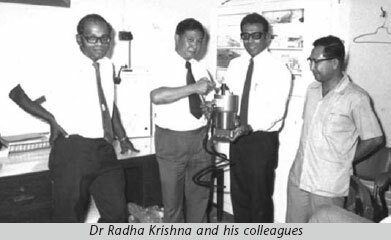 In this connection it is worthy of mention that in 1983 Datuk Dr Radha was awarded the Tun Abdul Razak Award by the Academy of Medicine of Malaysia to further this programme. The setting up of the Paediatric Anaesthesia and Intensive Care in the Institute of Paediatrics, HKL. The concept and implementation of the Day Care Surgical Centres in Malaysia. This was started on a trial basis in GH Ipoh and Penang. Though it was not entirely successful in these hospitals due to teething problems, the concept was more readily implemented in the private centres. The initiation of the pain management programme. Dr K Inbasegaran was sent to UK and Australia in1990 for this purpose. Sending qualified anaesthetists on attachments to well established hospitals overseas. Dr Ng Siew Hian was the first to go to Mayo Clinic, Rochester, US. He retired in 1992 and joined the Pantai Medical Centre. While he was still in service he had, with special permission from the MOH, helped in the setting of Cardiac Anaesthetic and Perfusion aspects in the Cardiac Centre in PMC. In 1994, he joined the Subang Jaya Medical Centre, where he is currently working. Whilst working here he helped establish the HDU (High Dependency Unit). He was a member of the team of doctors who performed the first Liver Transplant in 1995 in the country. He continued working as part of this team till they stopped performing the transplants in SJMC. Throughout his career, he participated in many international meetings and published papers in recognized journals. He contributed to many professional activities. He was President of the Malaysian Society of Anaesthesiologists for two terms, and Chairman of the Critical Care Section of the Malaysian Society of Anaesthesiologists for five years. While in service, he was also Honorary Consultant of University Hospital and Lecturer and Internal Examiner of the University Kebangsaan Malaysia Anaesthesia Masters Program. Datuk Dr Radha is married to Datin Yoga Davi Sinnadurai and they are blessed with two sons, Dr Lalit Krishna, a Consultant in Palliative Medicine based in Singapore and Dr Ganesh Krishna, a Consultant Oncologist in the UK. Datuk Dr Radha Krishna has indeed been instrumental in leading, developing and taking the anaesthetic discipline to greater heights and it is with pride that we confer the Honorary Membership to Datuk Dr Radha Krishna at this meet. Unveil yourselves at the National Anaesthesia Day this year and do write to us to show off your creativity! The clinical studies have so far produced mixed results and this can be affected by the regimen used to induce spinal anaesthesia prior to CS. All the patients recruited by McDonnell et al26 and Belavy et al27 received spinal anaesthesia induced by bupivacaine and fentanyl and the papers have concluded that, TAP block as a component of a multimodal analgesic regimen provides superior analgesia and reduces post operative opioid requirements. TAP block was quoted to have prolonged analgesic effect for up to 36 hours due to poor vascularity of this plane and hence, delayed drug clearance. In a paper by Costello et al,22 it has shown that TAP block, when used as a part of a multimodal regimen inclusive of intrathecal morphine does not improve the quality of post CS analgesia. This can be due to the fact that intrathecal morphine is very effective in the reduction of post CS pain and no further benefits may be observed from TAP block beyond 6 hours. The authors then believed that TAP is useful in patients undergoing general anaesthesia or in those with a contraindication to long-acting neuraxial opioids. While having the ability to provide superior analgesia in comparison to intrathecal fentanyl, administration of intrathecal morphine is not without risks. Intrathecal morphine is more likely to cause post operative nausea and vomiting than fentanyl.28 Another point which should be emphasized is that, intrathecal morphine, when administered in doses above 0.3 mg, will increase the risk of delayed respiratory depression.29 Owing to these factors, it is therefore appropriate to prescribe anti-emetic medication to provide prophylaxis against intrathecal morphine induced nausea and vomiting. Earlier studies have shown mixed results. Studies by Bunting et al33 and Ganta et al35 have produced encouraging results. They have concluded that bilateral IIIH block is able to reduce postoperative pain scores and opioid consumption in patients undergoing general anaesthesia for CS. Few years later, Huffnagle et al36 studied the role of this block in patients undergoing CS under spinal anaesthesia. They noted that there is no difference in post operative opioid consumption and patient satisfaction between patient with and without IIIH block. In their paper, it was suggested that there is no benefit in performing IIIH block in patients undergoing CS under spinal anaesthesia. The disappointing results have led to few discussions. Factors like inadequate coverage and inappropriate injection technique were emphasized. 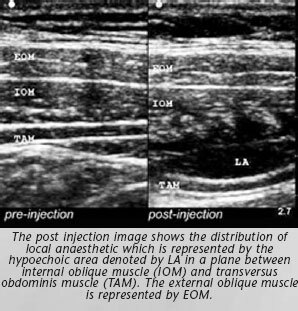 IIIH block may be inadequate to provide analgesia as the area of incision may not lie totally within the area supplied by these nerves.36 Bell et al,37 after studying their patients undergoing CS under spinal anaesthesia, has pointed out that multiple injections technique along the tracks of IIIH nerves is better and this has reduced the post operative opioid consumption significantly. 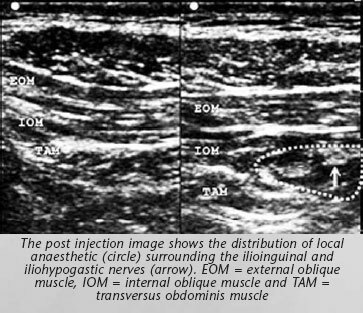 Gucev et al34 has recently described the application of ultrasound in the administration of continuous IIIH block with catheter in patients scheduled for CS under spinal anaesthesia. This case series has illustrated the ability of continuous IIIH block in reduction of post operative pain score, opioid consumption and opioid-related side effects. Good analgesia should be provided following CS to satisfy the mother and reduce the postoperative morbidity. Truncal blocks may be considered as an alternative mode of analgesia in order to reduce the opioid-related side effects. However, these blocks usually can not be performed as the single mode of analgesia. They should be adopted in addition to other analgesics, as part of a multimodal analgesic regimen. With the advancement and maturation in the ultrasound technology, this may stimulate the administration of truncal blocks in a wider perspective. Subsequently, it is hoped that more trials and studies can be conducted in the future to further validate the usefulness of such blocks in the management of post operative pain following CS. Professor Dr Patrick Tan Seow Koon, Deputy Director (Professional), University Malaya Medical Centre (UMMC) was conferred the Darjah Dato’ Paduka Mahkota Perak (DPMP) award which carry the title Dato’ in conjunction with 82th birthday of Sultan of Perak, Sultan Azlan Shah. The past year for the Obstetric Committee has been one of forging links with sister organizations and attempting to build the bridges by which we may collaborate on future multidisciplinary projects. 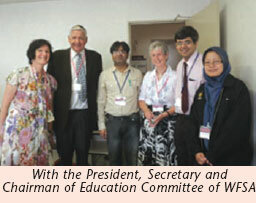 Late in 2009, following an earlier introductory meeting in London, the Chairman, Dr Paul Howell, travelled to Cape Town as guests of FIGO (the International Federation of Gynecology and Obstetrics) to participate in their World Congress. There he joined round-table panel discussions devoted to the FIGO initiative on Maternal and Newborn Health supported by the Bill and Melinda Gates Foundation. He made clear to parties who habitually forget to include anaesthetic involvement in the planning of maternity projects (e.g. obstetricians, midwives, health planners) how pivotal we are in improving obstetric surgical outcome in resource poor areas. The WFSA has now become a Partner in the World Health Organisation Partnership for Maternal, Newborn and Child Health (PMNCH), a multidisciplinary alliance of interested parties who are working to improve the health of mothers and children worldwide. This will hopefully improve our international profile and our ability to liaise with like-minded organizations on joint future projects - all too pressing since it’s now clear that Millennium Development Goals 4 and 5 are far from being met. Links with the Obstetric Anaesthetists’ Association (OAA) and Association of Anaesthetists of Great Britain and Ireland (AAGBI) continue to grow, and the WFSA has joined forces with them on several interesting ventures. Thanks to a generous grant from Baxter, and collaboration with the OAA and Elsevier, publishers of the International Journal of Obstetric Anesthesia (IJOA), a two CD set of useful obstetric anaesthetic resource material is being produced for distribution in resource-poor countries. This set, which comprises a variety of different tools including a webcast of the 2008 OAA Three Day Course with slides and abstract book, video of how spinals work, and back copies of IJOA, Update in Anaesthesia and Tutorial of the Week, is almost ready for circulation through usual WFSA routes. In addition, in collaboration with the Publications Committee, the OAA and the AAGBI, an exciting new handbook of obstetric anaesthesia specifically targeted at anaesthetic providers in resource-poor area, has just been completed, and is ready for shipping. Already in hardcopy, it is hoped to make it available in electronic format at some point in the future. As and when these two new educational tools are received, please do feed back to us with your comments, including what is useful, what is not, and what else would you like included (for the next editions)! Around the world, individual members of the Obstetric Anaesthesia Committee continue to make significant contributions to the practice of obstetric anaesthesia and analgesia in their own regions, and beyond. Everyone plays their part, but special mention should perhaps be made of Dr Medge Owen who heads Kybele, an organisation that takes multidisciplinary teams into transitional level countries and shows how obstetric (anaesthetic) care can be improved through a combination of formal lectures and hands-on practical tuition. Recent publications1, 2 show that this approach can make a lasting impact, with sustained changes in practice - an excellent example to us all! Finally, in the not too far distant future, our next World Congress in Argentina in 2012 approaches. There will, of course, be an obstetric anaesthetic component to the meeting - always popular sessions - so put the dates in your diary, and see you there! Kopic D, Sedensky M, Owen M. The impact of a teaching program on obstetric anesthesia practices in Croatia. Int J Obstet Anesth 2009; 18: 4th - 9th. Howell P R Supporting the evolution of obstetric anaesthesia through outreach programs (Editorial) International Journal of Obstetric Anesthesia, 2009; 18: 1st - 3rd. 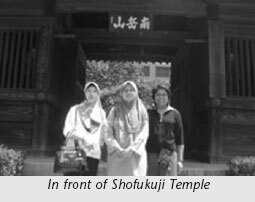 I was fortunate indeed to have had the chance to attend the 13th AACA conference in Fukouka, Japan, from 31st May to 6th June 2010. Winning the scholarship sponsored by the JSA-JFSAWFSA- Baxter for young promising anaesthesiologists from developing countries opened opportunities for me to explore Japan and to get acquainted with people from various countries. My long and arduous trip started on a rainy and cold winter day in Christchurch, New Zealand. I have been in Kiwi land for the past six months for my PhD degree in acute kidney injury (AKI) in the ICU. The chance to get away from my normal routine work and endless literature reviews and to be back to the world of anaesthesiology really gave me fresh new energy. I boarded the Singapore Airline flight, which is my preferred airline for its excellent service. This gave me the chance to meet with other delegates from Malaysia. After a nine hour flight from Christchurch, a six hour transit in Singapore and another six hour flight to Fukuoka, I finally touched down in Japan. At the airport, whilst looking for a taxi, I met Prof Datin Dr Norsidah and Datin Dr Sivasakthi who were staying at the same hotel. Little did I know, they would become my “partner in crime” exploring the city of Fukouka. Fukuoka is the capital city of Fukuoka Prefecture and is situated on the northern shore of the island of Kyushu. On arrival at our hotel, we were disappointed to be told that we could not check-in before 3.00 pm. To buy time, we decided to explore the city of Fukuoka. Even though I was very tired from the 22 hours journey, the exploration turned out to be an interesting event. 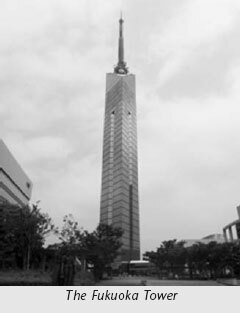 We managed to visit the Fukuoka Tower, Fukuoka City Museum, Momochi seaside, Fukuoka Dome and the Robo-square. We also managed to visit the Ohori Park and Fukuoka Castle Ruin on our way back to the hotel. Eventually at 3.00 pm sharp, we were allowed to checkin to our rooms. We attended the opening ceremony and welcome cocktails later in the evening. The conference started bright and early the next day, with the nice summer breeze of Fukuoka. The first plenary session by Dr Jonathan Moss turned out to be an eye opener for us. The moral is to have the inquisitive mind in our daily clinical work which could lead to a breakthrough in medicine that could improve the quality of life of so many patients, albeit a long and dedicated research effort. A simple research question led Dr Jonathan Moss and his team to a 20-year project, resulting in the development of a much needed antagonist of morphine's peripheral side effects, N-methylnaltrexone (MNTX). Apparently, the drug has been recently approved for clinical usage in Malaysia as well as in other countries. There were three symposia which ran concurrently covering most of the anaesthetic topics ranging from pain medicine, ICU, cardiac anaesthesia etc. I attended a few symposia that were different and unique such as Manpower in Anaesthesia, Innovations in Anaesthesia and Anaesthesia Education and Simulation amongst other things. During the coffee break, we had a chance to visit the excellent poster presentations, where four out of twenty were from Malaysia. Congratulations to all! On Day 2, we visited various temples and a shrine near the Gion area, and also the futuristic shopping mall and the Canal City with an amazing waterfront display. My poster titled "Survey of Knowledge and Practice of Intraoperative Temperature Management" was presented on the fourth day of the conference. On the same day, there was apresentation ceremony for the winners of the JSA-JCSA-WFSA-Baxter Scholarship, where I had the chance to meet with the President, Secretary, and Chairman of Education Committee of the World Federation of the Society of Anaesthesiology (WFSA) and also the Chairman of the Conference, Professor Koji Sumikawa. The congress banquet was held on the last night of the conference. Surprisingly, there was a variety of halal food prepared for us. It was indeed a lovely and memorable night to remember. The conference ended on the morning of June the 5th. In the afternoon, I attended the Simulation in Anaesthesia Practice workshop facilitated by three facilitators from Singapore. Even though there were only four participants at the workshop, it was indeed very well delivered with lots of hands-on practice. It is my hope that I can use this training to further improve our highfidelity patients’ simulation (HPS) curriculum for medical undergraduates, and hopefully for future postgraduates later. The trip ended with Sayonara to the Japanese folks, and back to the freezing winter of Christchurch. The Food (Typically Malaysian): Marvellous! To give one word answers for this event would do no justice at all! I had the privilege to attend The ISSPS 2010 which was a two day affair held at the Prince of Wales Hospital, Shatin, Hong Kong. The first day began with a series of lectures by renowned authorities on ultrasonography of various parts of the spine and its application in interventional procedures. Midday saw parallel sessions on Ultrasound in Paediatric Regional Anaesthesia and Ultrasound in Pain Medicine. The last, liveliest and certainly not the least of the sessions was when the experts performed live scan demonstrations on volunteers. The experts were world class, the volunteers were great and then there was an expert who decided to do both jobs! Hats off to Dr Peter Cheng for stripping down to his shorts in order to show us the fine art of Ultrasound Imaging for Hip Joint and Shoulder Injections! On the second day, we were looking forward to some action at the workshops! There were 8 stations providing hands-on experience with the experts’ guidance on various aspects of spinal imaging. My favorite was Station 8: Ultrasound Guided Neuraxial Techniques on the pork carcasses. It was an enlightening experience for most of us! Did you know that the pig has six lumbar vertebrae? The posters and exhibition sessions were equally stimulating allowing ample opportunity for discussion and exchange of ideas with the faculty and other Pain Medicine practitioners around the world. I hope that with this newfound knowledge, we'll be able to achieve the proficiency of Dr Karmakar and his team and someday who knows... host an event of similar caliber!